In the breathtaking atmosphere of warm South Carolina, you could be soaking up some rays on the beach one day and hitting the links at PGA professionally designed golf courses the next. 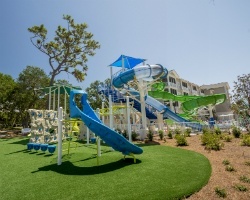 With a South Beach Resort timeshare resale or rental, you’ll not only be in close proximity to all the best activities in South Carolina, but you’ll also save up to 70% off the retail price! What’s My Holiday Inn Club Timeshare Worth? Located just two minutes away from the pristine shores of Myrtle Beach, Holiday Inn Club Vacations South Beach Resort is nothing short of a peaceful oasis. Whether you’re eyeing a secluded getaway or a family-friendly vacation, South Beach Resort is your answer. 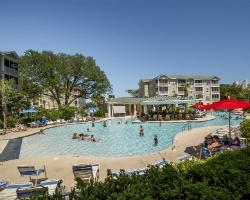 Just a short drive away from all the Myrtle Beach excitement, you’ll be in a convenient location for the city’s most renowned attractions—including the 350-acre Broadway at the Beach dining and entertainment complex, outlet shopping, and a host of attractions. Take the kids out for a fun game of putt-putt at Jurassic mini-golf or enjoy over 100 of the country’s top-rated golf courses within a drive away from the resort. 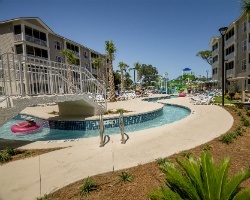 Holiday Inn Club Vacations South Beach Resort Myrtle Beach SC offers all types of units from studio suites to three-bedroom villas. You’ll be staying in a quaint, yet completely modern unit featuring essential accommodations and luxurious amenities to make your stay as comfortable as possible. Enjoy your own furnished patio or balcony, a beautifully appointed dining room/living room area, and some units even come with a relaxing spa tub, perfect for unwinding after a long day. At Holiday Inn Club Vacations South Beach Resort, you won’t have to settle for anything less than maximum comfort and minimal stress. Everything you need for your next vacation is waiting for you here. Fill out the form on the right for more information or give our HICV South Beach Resort timeshare resale specialists a call at 1-877-815-4227. When you purchase a Holiday Inn Club Vacations South Beach Resort timeshare on the secondary market, you’re not just buying a beautiful vacation home with great amenities. You’re also saving thousands of dollars off by purchasing your property directly from the current owner. Avoiding ownership through the developer means avoiding hidden fees; the price you pay for your properly has been fairly evaluated against the current trends of the resale market. 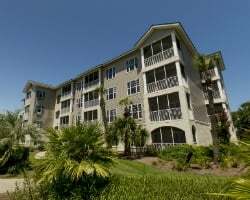 Owners have the ability to select their ownership from a variety of different deeded fixed or floating timeshare weeks. Floating week owners can choose from a variety of seasons to spend their vacation week. Timeshare weeks at South Beach Resort are available for annual or biennial vacations. Owners will also receive an allotted number of Holiday Inn Club vacation points based on the deeded ownership purchased. South Beach Resort is part of the Holiday Inn Club Vacations (HICV) catalog, a series of resort properties renowned for their luxurious accommodations at incredible prices. South Beach Resort is one of the lucky few resorts able to transfer Holiday Inn Club points between owners on the resale market. Points can be used to reserve your stay at your home resort, and unused Club Points will automatically save for the following year one time only to afford you longer vacation time or more flexible vacation options. You can also use them towards booking a vacation with Resort Condominiums International (RCI). South Beach Resort owners also have the ability to exchange their timeshare week in order to gain access to over 5,000 resorts worldwide. Simply purchase a membership for South Beach Resort’s affiliated external timeshare exchange company RCI. For an additional fee, you’ll be able to access properties through RCI, both HICV and non-HICV properties. Holiday Inn Club Vacations South Beach Resort is an RCI Gold Crown Rated property, meaning that the properties high demand allows owners a high amount of trading power in the exchange program. At South Beach Resort, you can enjoy all of the wonderful amenities of a beachside resort without ever having to leave! Take a dip in the indoor pool or grab a drink and watch from the side at the Lagoon Pool. Relax many different ways with decompressing activities such as hot tubs and the family-favorite lazy river pool. Hit the Marketplace for snacks and munchies like pizza, breakfast items, and sandwiches. A family video and game room is available for those looking to escape from the sun, or hit the on-site fitness center to get a quick workout in before you spend your day lounging around at the beach. Don’t forget to consult the excellent concierge services for recommendations on dining, shopping, entertainment and more in the wonderful city of Myrtle Beach. There’s something for everybody here in the oasis known as Holiday Inn Club Vacations South Beach Resort. Already Own at South Beach Resort?